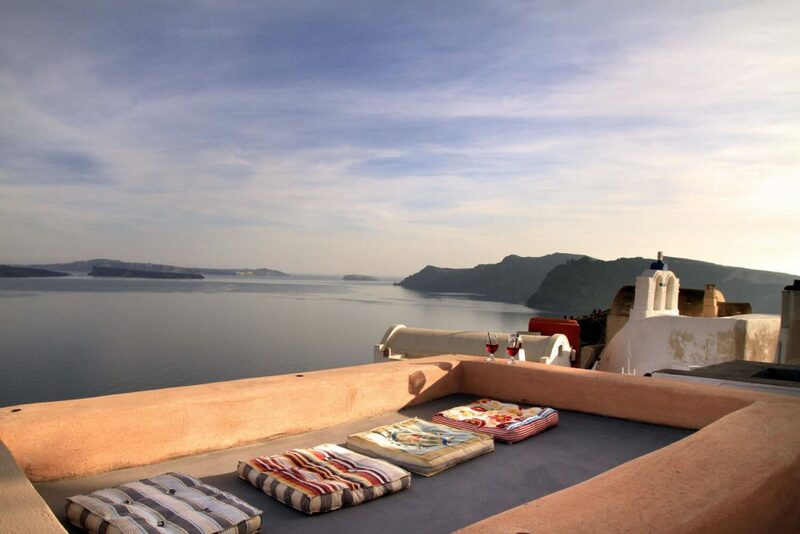 Indulge in the beautiful view of the volcano, Caldera and Blu Sky View. 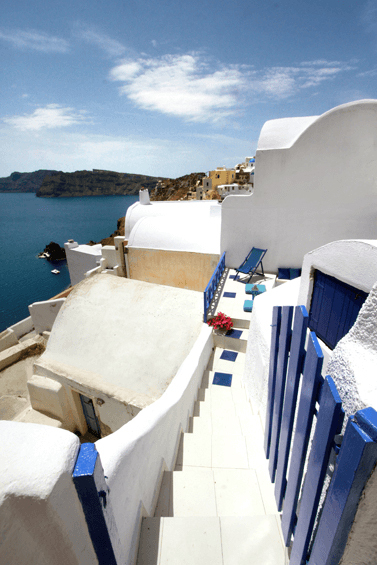 Our cave houses are in a walking distance from Oia’s centre and right next to the famous sunset spot. 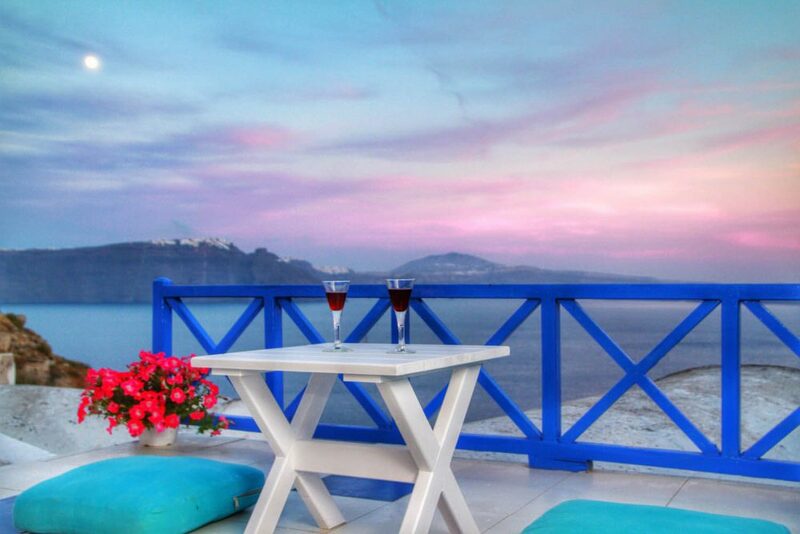 You can enjoy dinner followed by beautiful walks across Caldera watching the sunset and the romantic, picturesque surroundings. 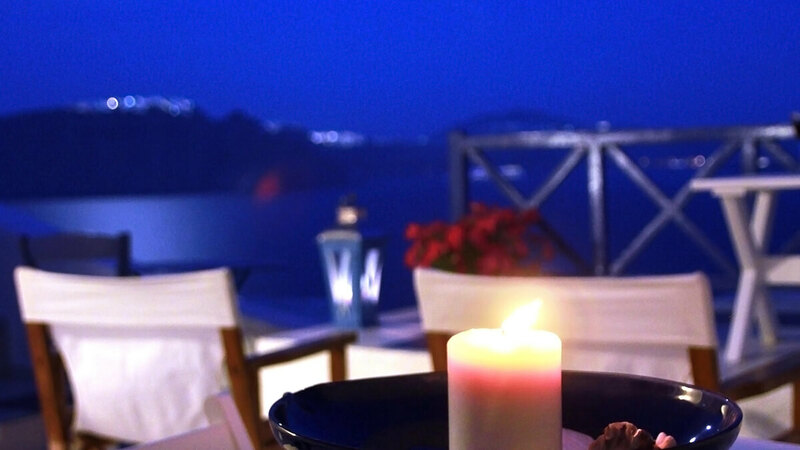 We will be thrilled to look after you during your stay at our traditional & luxury cave houses in Oia, Santorini. 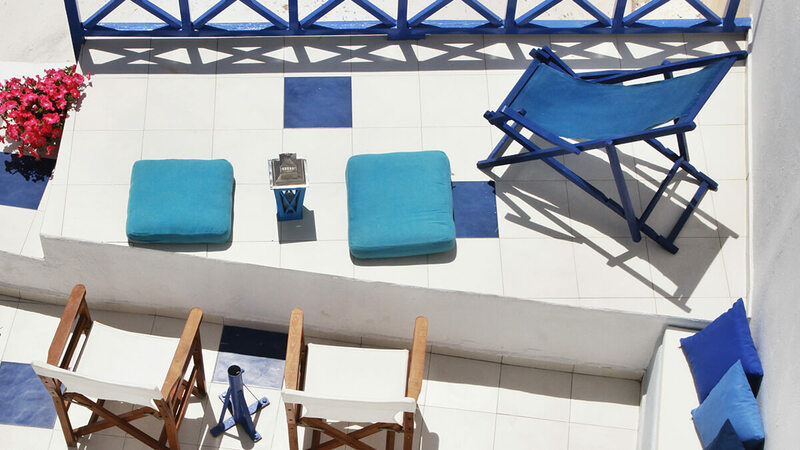 We will be happy to host you during your vacations in Santorini. During your Check In, we are giving you a map of the village (Oia) and a bigger for Santorini island, explaining in details all the activities and sight seeing in order to plan your vacations. Also we can arrange your tour on the island or your trips to other islands around Santorini. 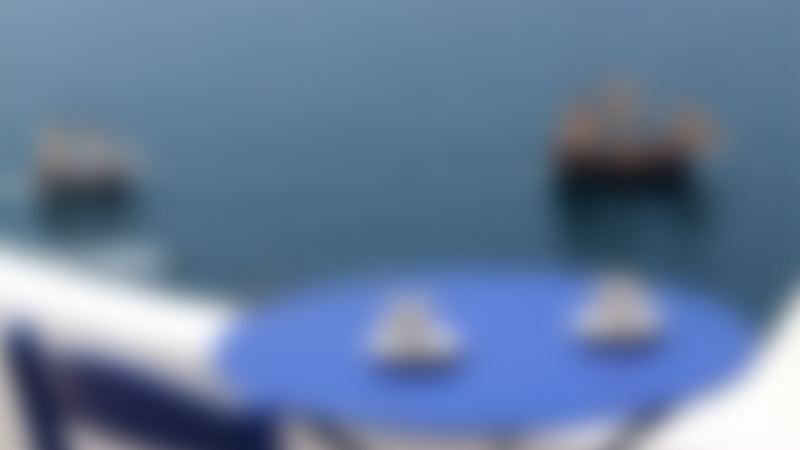 Please do not hesitate to contact us for any further info you might need. 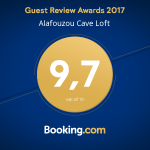 Alafouzou Cave Loft – Blu Bianco Cave Houses is located in the center of the old part of Oia right next to the spot which is well known worldwide for the sunset. It is an area where you can enjoy your dinner at the restaurants or walk across the caldera watching the sunset, the cliffs etc. In this two hundred years old cave house you can experience the Traditional Cycladic Architecture which meets luxury, splendor and comfort. 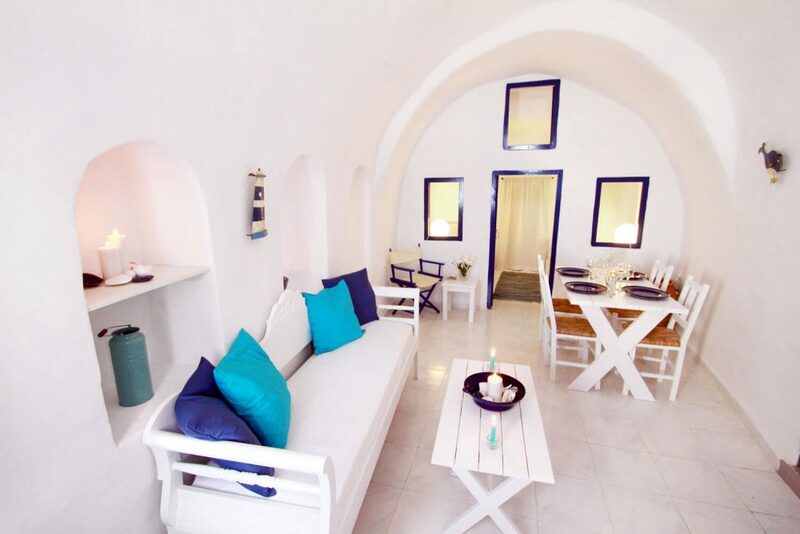 In this vintage Blu Bianco Cave House you can experience the true traditional Cycladic architecture. 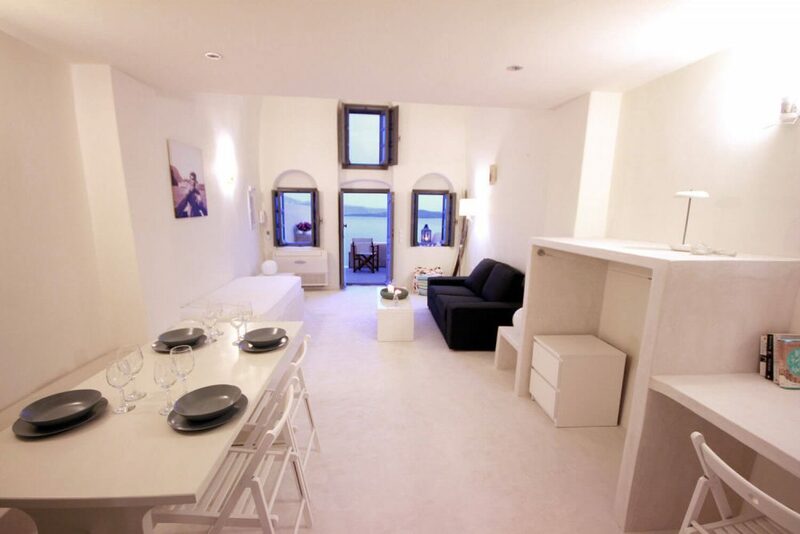 We invite you to spend your holidays in this 2 bedroom cave house, on an out of this world scene, in Santorini island. 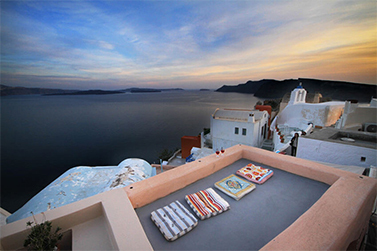 The villa is located few steps away of Oia’s center right next to the spot which is well known worldwide for the sunset. You can then enjoy the breathtaking view which everyone talks about. Find plenty of activities right at your doorstep! From kayaking, to taking a walking photo Safari along the cliffs and enjoying unique sunset dinners. Take pleasure in discovering the secrets of Oia as a local and feel the effect of the volcanic activity, all near your accommodation. 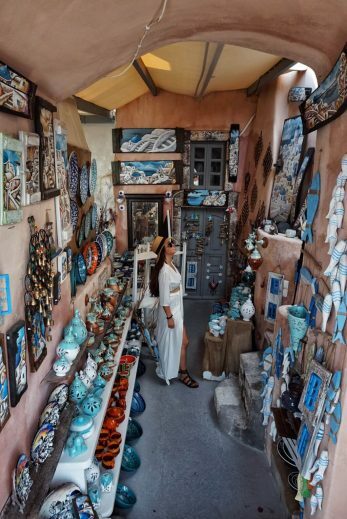 Oia’s town has a main pedestrian path where all the little traditional boutiques are situated, including bars, restaurants and shops. 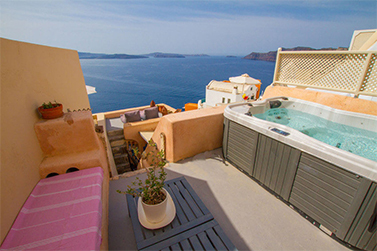 It’s your turn to discover Oia as a local and here in Blu Bianco Cave Houses we give you this opportunity through a big variety of guest packages we offer to our customers.